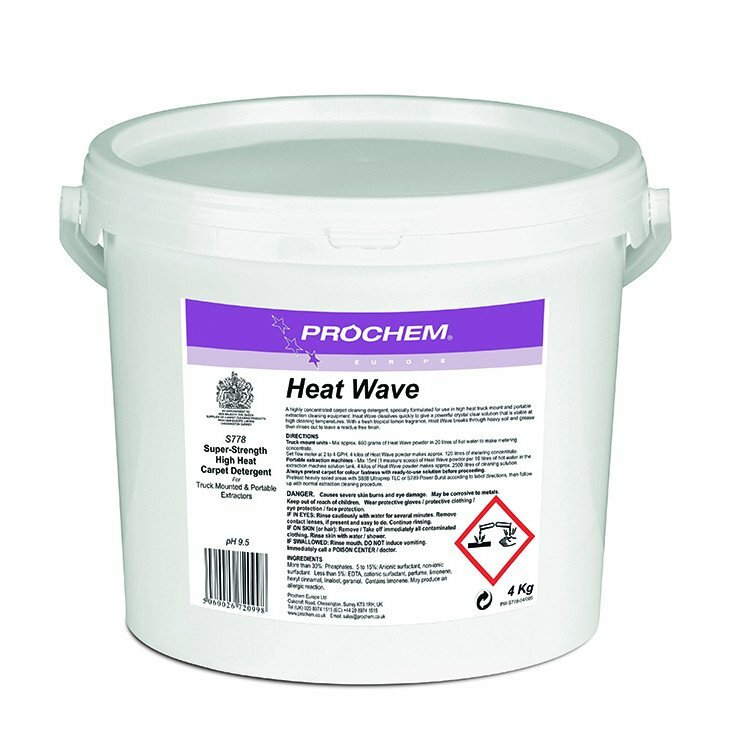 The NEW Prochem Heat Wave is a super-strength Powder detergent for use in the most powerful truck-mounts. Performs at high temperatures while maintaining stability and 100% clarity. Prochem Heat Wave's ingredients will not separate under high heat, reducing residual deposits and clogged wands. Orange powder with a pleasant tropical lemon fragrance.